We are Committed to Recruiting Diverse Leaders. Founded by a woman executive, we have always promoted highly qualified diverse candidates. We are committed to finding men and women with diverse backgrounds, experience, nationality, cultural heritage and perspective. These candidates are able to help our clients better address the needs of their customer bases. We believe a management team that reflects their customer base is better able to deliver out-of-the-box solutions. Richard Constable has joined The Madison Square Garden Company (MSG) as Executive Vice President, Global Head of Government Relations and Public Affairs. In this position, he serves as MSG's chief strategist overseeing all governmental, legislative and public affairs matters company wide. Mr. Constable joined MSG in 2018 following a multi-faceted career that has spanned the corporate, governmental and legal communities. Prior to MSG he served as Senior Vice President, Government Relations and Commercial Contracts at the Wyndham Worldwide Corporation. Prior to Wyndham, Mr. Constable had several high-profile positions in government, including serving as Commissioner for the New Jersey Department of Community Affairs, a cabinet position in which he oversaw a $4 billion budget and workforce of 1,600. Jose A. Dueñas joined Sonic Drive-In as executive vice president and chief brand officer. Jose has more than two decades of marketing and brand senior leadership in the restaurant and consumer packaged goods industries. Prior to joining SONIC, Jose served Olive Garden as executive vice president and chief marketing officer. Under his leadership, the brand achieved 11 consecutive quarters of same-store sales growth, outperforming the industry. 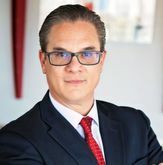 Jose joined Olive Garden after 15 years of progressively responsible positions at the Kellogg Company, including General Manager for Toaster Pastries business and VP Brand Marketing for the entire US Cereal Portfolio. Deborah Rosado Shaw joined the New York Board of Teach for America. Recently Deborah served as PepsiCo's SVP, Chief Global Diversity & Engagement, where she was responsible for driving innovation and optimizing high performance teams by leveraging the diverse strengths, backgrounds and perspectives of 260,000 associates operating in 200 countries and territories. Deborah is the Founder of the Rosado Shaw Group, LLC. a consulting and advisory firm focused on intervening in today’s complex challenges around culture, performance, talent engagement and diversity. She is a trusted advisor recognized for integrity, rigor and discipline in getting the job done. Behzad Soltani joined Keurig Green Mountain as VP Digital Strategy and eCommerce reporting to the CMO. At Keurig, Behzad will manage the Keurig.com eCommerce site and he will set strategy for digital marketing for the Company across all channels. Previously, Behzad had been Vice President, Global eCommerce & Business Development at Staples. Over his tenure, he had been in various Omni-channel positions including General Manager Online Business Services in the Retail and Online divisions. Prior to Staples, he was Director of Field Operations for FedEx Kinkos and worked in various successive positions from 1995 to 2004. Detria Williamson has been hired by Vestergaard SA, headquartered in Laussane Switzerland, as CMO to support ambitious growth plans. The Company is a global organization providing game-changing solutions that contribute to a healthier, more sustainable planet. Ms. Williamson comes to the Company with nearly two decades of diverse marketing experience working in the US, Europe, Middle East and Africa. Detria Williamson founded Drum Content Design, a global content agency aimed at building communities for brands through storytelling. In Detria’s previous roles, she worked at the Nomads Agency and Jumierah Hotels and Resorts in Dubai. She has had senior marketing roles at Discovery Communications International, TV ONE, BET and ESPN.